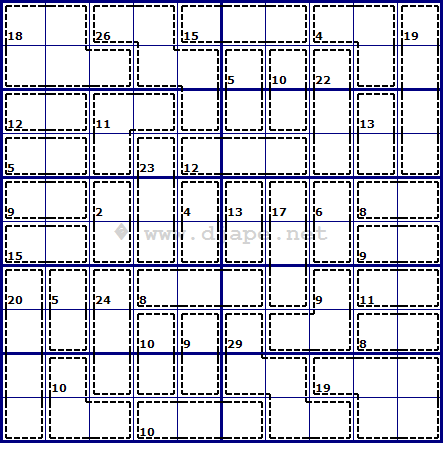 This entry was posted in Free sample puzzles, Killer Sudoku and tagged how to solve, IQ, killer, killer sudoku, rule of 45, technique, variant. Bookmark the permalink. Post a comment or leave a trackback: Trackback URL. Hope a “book” will follow in the future?! Notified the complete new cage combination reference with -zero- now! But what’s about Wikipedia -Killersudoku in the future? Time to actualize too???!!! What did you think of the difficulty of this one? Is THINKER the right level? My dream! 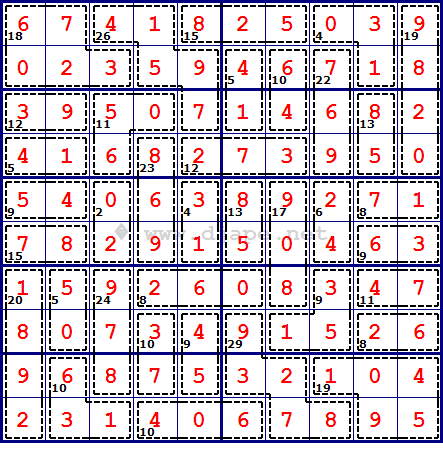 The funniest and hardest Sudoku ever, or???!!! Next step 16 x 16? Hmmm… maybe! But I think that would be way too difficult, don’t you? It would be boring too! Same as the 12- or 16- cell-sudokus!! !